In submitting to the public this edition of the History of Kilmarnock, the author may state that, by the favourable reception given to the work on its first appearance, he has been induced to publish it in its present revised and enlarged form. He trusts that the original matter introduced into various parts of the text, together with the many illustrative foot-notes that have been added, will render it still more deserving of general patronage. He must acknowledge, however, that, from the difficulty of obtaining accurate information, he has been sometimes obliged, especially in the early part of the narrative, to give only a mere outline instead of a complete picture; but even that outline, affording, as it does, an idea of the appearance of the town and the social condition of the inhabitants, at a comparatively remote period, cannot fail to prove generally interesting. Of the various members of the Boyd Family a more lengthened account might have been given; but this would have extended the volume beyond its proposed limits. 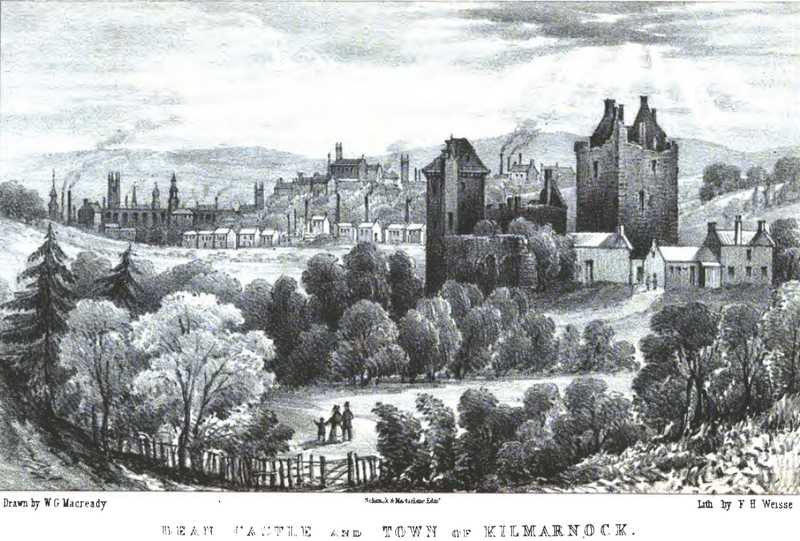 The eventful career, however, of the unfortunate last Earl of Kilmarnock has been traced at some length, partly from its singularly pathetic interest, and partly from its close connection with an important period of Scottish history. For the same reasons, the sufferings of the Covenanters in Kilmarnock and its neighbourhood have been briefly noticed. Their struggles and trials, it is true, are already widely known; but to have passed them over in silence would have" been at variance with the spirit of the present volume, the object of which is to chronicle, in a concise yet faithful manner, the principal incidents and traditions connected with the locality. An abridged translation of the Charter, by which the town was erected into a Burgh of Barony, and several other interesting papers, that could not be conveniently woven into the text, have been given in the form of an Appendix. The author may add, that, should this edition be found to contribute still further to the information or entertainment of his fellow-townsmen, and others interested in the historical associations of the district, he will not regret the pains he has taken, or the time he has expended, in the composition of the work. rewarded with gifts of the lands of Kilmarnock, &c.
Extracts from the Session Records, &c.
The Rev. James Mackinlay, D.D. State of the Parochial School under John Graham, A.M.
Meeting-house at Gallows-knowe—its ministers, &c.
Town Hall—Portraits of Sir James Shaw, Sir John Dunlop, and B. R. Bell, Esq. Opening up of Portland Street* &c.
Sketch of Robert Crawford, Esq. Sketch of Thomas Morton, Esq. Professor Johnston, author of the “Chemistry of Common Life,” &c.
Alexander Smith, author of the “Life Drama,” “City Poems,” &c.
Effects of the Flood in King Street, &c.
Statistics—Number of the Houses—Population—Rental of the Burgh, &c.
Sir William Mure, author of the “True Crucifixe for True Catholikes,” a version of the Psalms, &c.
VI. — “The Red Steuart,"